Happy Fourth of July! I hope that whatever you do today, you make time for marshmallows. 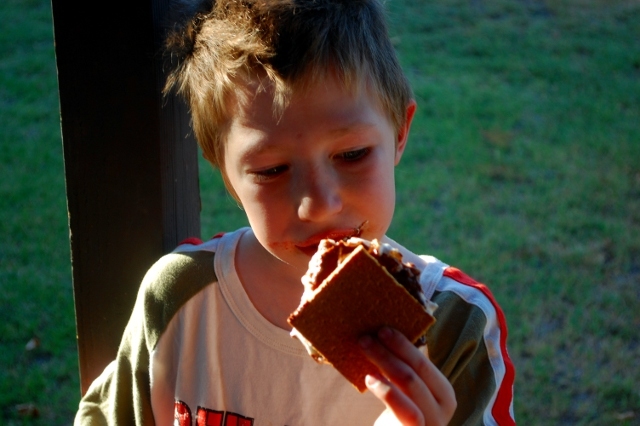 We love to make s’mores after we grill – but there’s a problem. 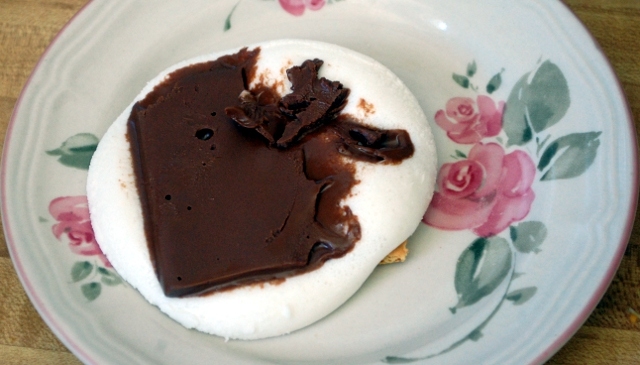 We just can’t eat a whole bag of marshmallows or use up all of our chocolate in one go. And why is this a problem, you ask? Because then we’d have to have another fire on another day to make the rest of them, that’s why. 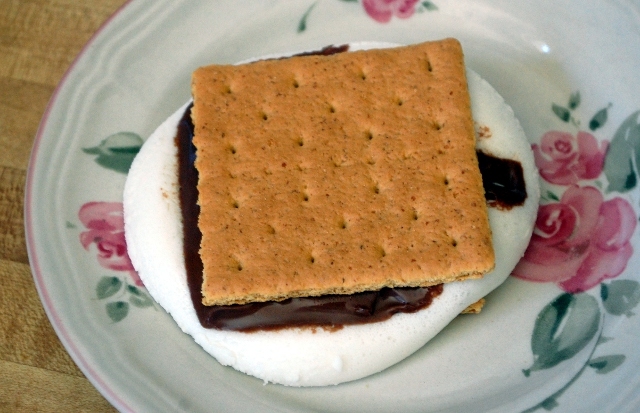 In our house in Japan we had a gas stove, so it was completely possible to turn on a burner, cook one marshmallow, eat one s’more, and be done. Not so, here. I decided to take another approach. 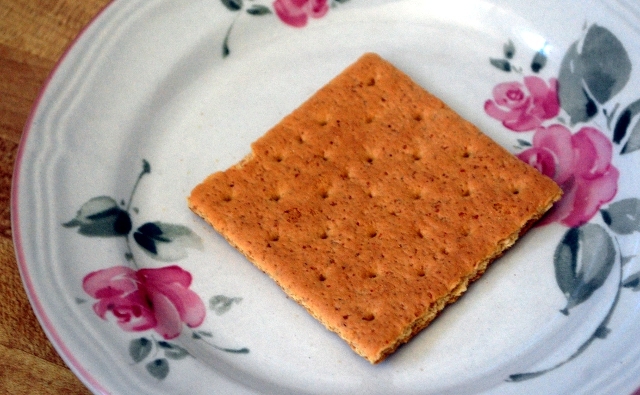 First, put a square of graham cracker on a plate. Add your marshmallow – or in our case, half of one of those giant marshmallows. Then, microwave for about ten seconds. 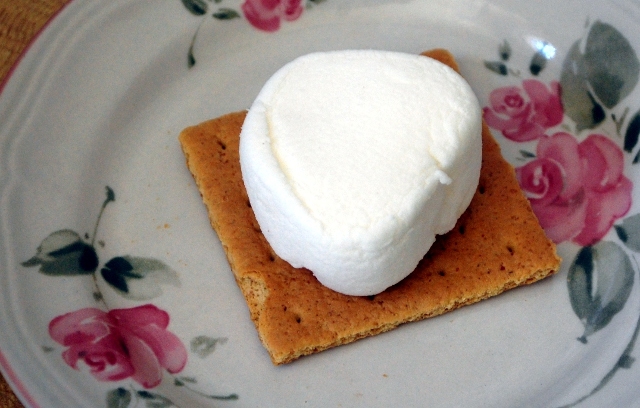 Now, right now you essentially have a hot blob of marshmallow cream on your graham cracker. 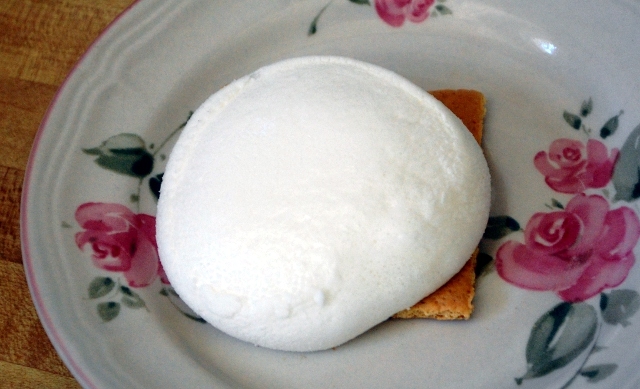 (This observation led to further experimentation, and I’m pleased to announce that a delicious peanut butter and marshmallow sandwich resulted from it.) You need to let it cool down a little bit before you try and eat it, or it will all squish out the sides, leaving you with two vaguely sticky graham cracker squares stacked on top of each other instead of the whole shebang. Before it cools down too much, though, add the chocolate. ….This chocolate was mailed to us. It was quite, quite melted when it arrived, and time in the freezer helped but it was never quite the same again. And it’s time to eat! Okay, okay, maybe that should have been called twenty or even thirty second s’mores, but however you slice it that’s fast – no charcoal needed. Ooo, I might have to try these! It’s been years since I’ve had a s’more.